Establish a sustainable community centre that stimulates positive change, providing a platform for projects such as youth work, exhibitions and Islam awareness campaigns. These crucial activities have until now been lost in oblivion, The Community Hub will provide a unique space to particularly encourage and support Islam Awareness campaigns, to ensure greater community cohesion for all. By providing the facilities for major community events and gatherings, The Ark will be the perfect place for hosting both formal and informal events. 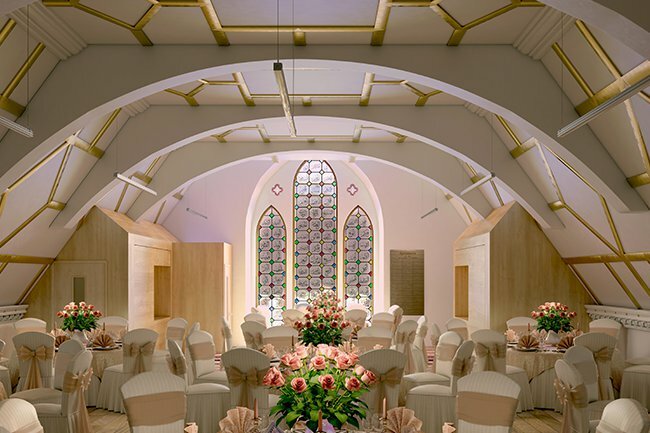 From parent toddler groups to social gatherings and formal events, The Ark Grand Hall will provide a pleasant capacious space to host wedding parties, seminars, meetings and religious events. With the space to accommodate up to 120 people, The Ark will help address the lack of such facilities within the local area. Creating a soft space to act as a launch pad for exciting new projects. With the facilities to host new exhibitions, book signings and even press conferences on important issues relating to Muslims. A crucial service to facilitate greater engagement between all people, whether as part of a larger project or for a simple coffee morning. The drop in centre will help facilitate socialising between all communities by breaking down barriers and encouraging more interaction between faith groups.